Airport baggage handlers deserve our respect. 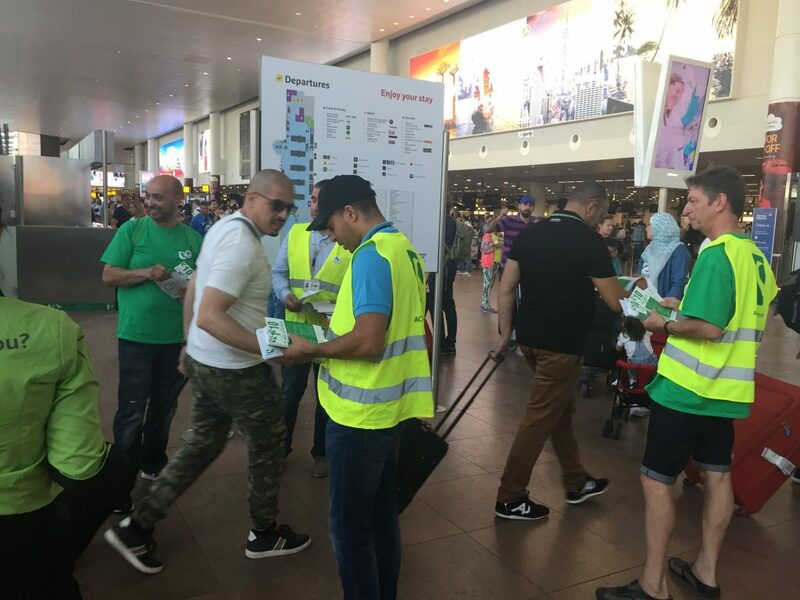 At the height of the holiday season, ACV-Transcom, the ACV Youth Section and the youth movement KAJ conveyed this important message with an action in the halls of Brussels Airport. 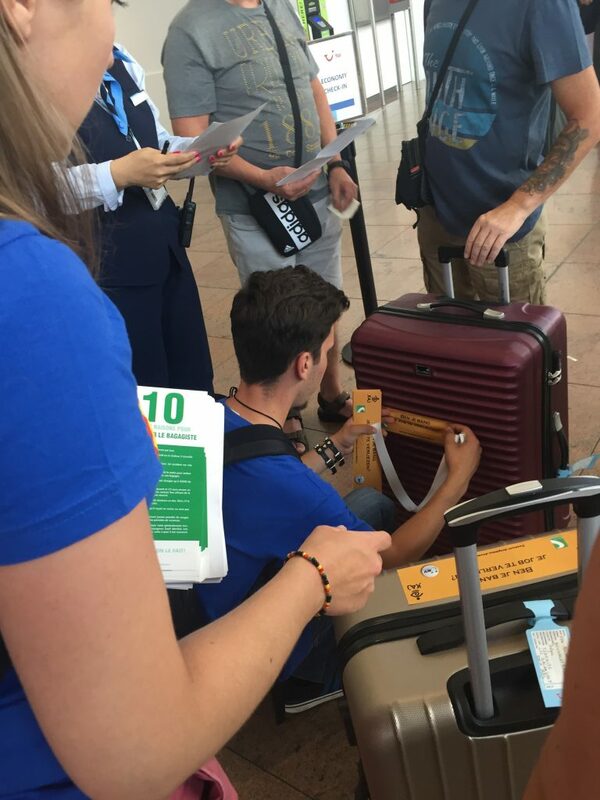 Inviting passengers to send a message to baggage handlers with a sticker on their suitcases, they informed the public about conditions in the sector and sent solidarity from customers to a hidden group of airport staff. Baggage handling is hard work, working conditions are precarious and employment contacts offer little guarantees. In Belgium, baggage handling is often done by young people who receive lower “youth wages”. This unfair system, lowering the gross wage of employees younger than 21, was introduced by the government as an austerity measure. Promising to reduce youth unemployment, its only proven benefit has been to increase the employers’ profits. Moreover, since young workers receive lower wages than their older colleagues doing the same job, the principle of equal pay for equal work is clearly violated. The organizers demanded that companies commit themselves to the elimination of wage discrimination and increase the prospects of fixed jobs for young people. As spokesperson Jeroen van Ranst of the ACV Youth Section declared: “a secure contract is a necessary condition for developing an independent life”.